In 2016, Intereconomics celebrates its 50th anniversary. I started as editor-in-chief in October 2007. The journal’s previous home, the Hamburg Archive for the International Economy (HWWA), had been closed and Intereconomics, along with its sister publication Wirtschaftsdienst, had just been relocated to the ZBW – German National Library for Economics (now re-named the Leibniz Information Centre for Economics). 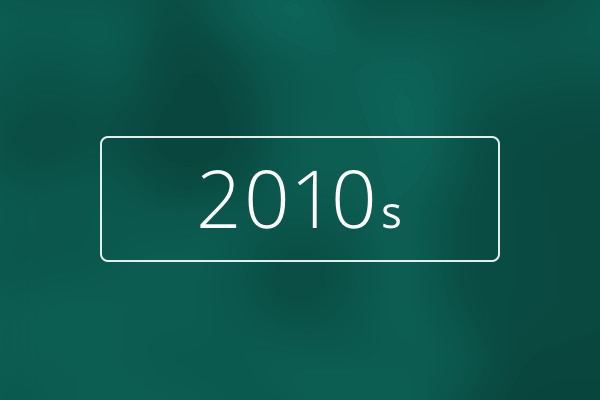 Both journals became part of the newly created “Knowledge Transfer in Economics” unit in 2012. These changes brought about a great challenge: Intereconomics had to establish itself as an independent academic journal without the backing of a research institute or university with distinct theoretical orientations. The editorial team had no time to reflect on the possibility of failure and instead simply took advantage of the new independence, which turned out to be an excellent basis for a truly neutral platform for economic policy debates in Europe. 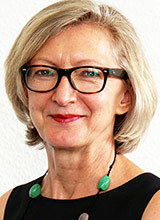 Dr. Brigitte Preissl is Editor-in-Chief of Wirtschaftsdienst and Intereconomics since 2007. A few years earlier, Intereconomics had been transformed from a journal for international trade and development into a “Review of European Economic Policy”. Now, in order to gain a wider audience, it was time to also change its orientation from a journal for German authors publishing in English into a pan-European platform for economic policy debate. This task shaped our activities to a great extent over the following years. The first step in this direction was an increase in the number of non-German authors in Intereconomics. 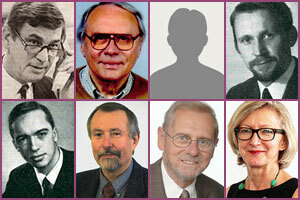 Within two years, the ratio of German to non-German authors changed from 70:30 to 35:65 (annual count). However, in order to make Intereconomics more attractive for foreign authors and to be a more convincing player in European economic policy debates, a stronger footing in Brussels had to be established. Thus, the second step seemed obvious: Intereconomics needed a partner who was located closer to the European Commission and the centre of EU policymaking. In the beginning of 2010, Intereconomics joined forces with the Centre for European Policy Studies (CEPS), a well-known Brussels-based think tank. Daniel Gros, the director of CEPS, immediately liked the idea of collaborating with the Intereconomics team in Hamburg, and soon Felix Roth, a researcher at CEPS, began to take on editing duties with the journal. Major changes to the editorial team occurred in 2011. Claus Hamann and Irene Wilson, who had been the pillars of Intereconomics for more than 30 years, both retired. They had laid the foundation for excellent editorial quality, and it seemed difficult to find a match for their solid economic backgrounds, their knowledge of European economic policy and its protagonists, and their expertise in editing, let alone Irene’s sharp eye and scrupulous attention to language. However, Derek Kruse stepped in and did just the job, with slight variations and some (careful) modernisations. He was joined by Ekaterina Sprenger in 2012, who also turned out to be a perfect match for the job. Their knowledge and determination were important conditions for the changes that lay ahead: gaining more attention for Intereconomics within the European research and policy scenes, creating a new website with additional content and a more user-friendly design, and beginning to spread the journal’s audience beyond Europe. A new layout for the print version, which put an end to the times of black and white boredom, and the replacement of old sections with modernised ones followed. In January 2014, Intereconomics was pleased to welcome Mikkel Barslund as the new editor from CEPS. Beginning in 2010, the mission of Intereconomics to serve as a platform for economic policy debate was enhanced through annual conferences which it began hosting in Brussels. In the following years, these conferences were complemented by smaller workshops based on projects initiated by CEPS, with the papers presented at these meetings then published as Intereconomics Forums. 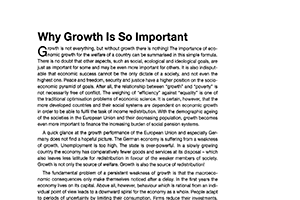 This added value to the conference, as publication in an economic policy journal improved diffusion and assured a more sustainable documentation of the ideas put forward. Each event increased the visibility of Intereconomics in Brussels, and the journal’s target groups, i.e. policy makers and researchers at the European level, steadily became more aware of the potential of Intereconomics to stimulate debate on important economic issues. In Europe the period 2007-2016 was shaped by various economic crises following the collapse of the US housing market. Articles, editorials and forums in Intereconomics have closely followed the bank crises, debt crises, fading trust in the functioning of international financial markets and the downturn of economic activity in the EU, as well as the – sometimes fierce – debates about the remedies adopted by the Commission and the IMF. However, the crises did not just challenge policy makers; the economics profession itself had to re-examine the theories that had contributed to a naïve belief in the functioning of liberal markets and their self-healing powers. New approaches were required to explain new phenomena, and new instruments had to be invented to cope with the consequences. Economic policy had to react to the escalation of crisis symptoms to prevent an exacerbation of the situation. At the same time, rules and institutions had to be found to enhance the stability of European economies and of financial markets. For quite a while, the monetary policy of the ECB was the most prominent issue in economic policy discussions. This focus was eventually replaced by equally intense debates on austerity policies in crisis countries, with proponents touting their virtues and benefits, and detractors stressing their inadequacy and the suffering and political peril they give rise to. The Intereconomics team always aimed at providing a space for voices from across the ideological spectrum, including those that were rarely heard in the dominant media or in academic publications, thus enriching the debate with alternative ideas and methodological approaches beyond the usual mainstream arguments. Undoubtedly, Intereconomics has used its role as an independent and neutral platform for economic policy in the last eight years to support open debate, which is essential for solving the economic problems in the functioning of the EU. We would like to thank all of our authors for contributing their excellent work – which is ultimately the most important factor in the positive development of Intereconomics. We look forward to cooperating with them in the years and decades to come. Many thanks also to our readers, who have supported us with their continued interest in research-based economic policy publications. The editing team in Hamburg and Brussels has shown great enthusiasm in delivering one excellent issue after the other, in modernising the appearance of the journal as well as in putting together a website with high-quality content, and in complementing the role of Intereconomics by organising events for exciting discussions. Their diligence, dedication and creativity have been rewarded by an ever more attractive journal. Many thanks to Derek Kruse, Ekaterina Sprenger and Mikkel Barslund!